Popehat has a good post today about how it is entirely possible the U.S. is becoming a police state without guidance from a conspiracy of "black-mustache-twirling villains." The road there could be paved mostly with good intentions and rationalizations, although there will certainly be creeps and thugs along the way. But you don't have to believe in a conspiracy or even bad intent to explain why government does some of the things it does. So that's my lead-in to the story of the magician who has to create a disaster plan for his rabbit. 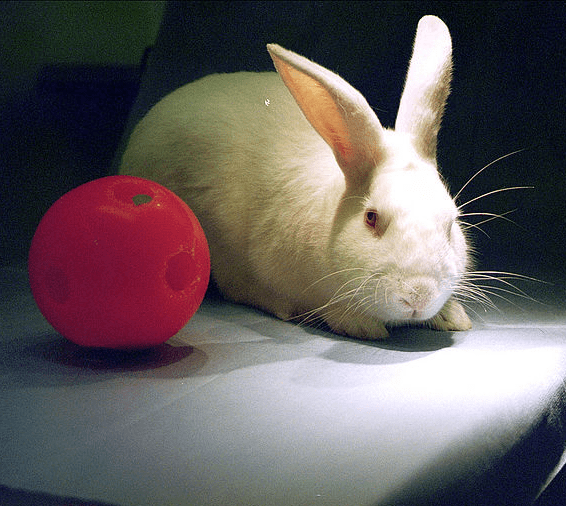 This Washington Post article recounts the tale of Marty the Magician and his rabbit, Casey. On occasion, the former does pull the latter out of a hat, and the Department of Agriculture says that makes him an "animal exhibitor." Under the Animal Welfare Act Amendments of 1970 and regulations thereto, animal exhibitors are subject to a number of requirements. I don't know what that number is exactly, but the number of pages they're written on is 136. The consequences for Marty Hahne (the magician) include needing a license for his rabbit (and he says a USDA inspector demanded said license at badgepoint after a magic show in 2005). As of January, they also include drafting a written "contingency plan" to ensure animal safety in the event of a disaster. He's required to create this plan for one rabbit. So, how did we get to this point? Did a hidden cabal deep within the government meet and plot to disrupt the lives of magicians, sorcerers, and the like, or simply decide at random to exercise power for power's sake? Probably not, although the timing of Liz Cheney's Senate announcement is pretty suspicious. As the Post pointed out, the Animal Welfare Act was passed in 1965, in response to a horrible story about a stolen dog that was used for research and then killed. That law required labs using dogs and cats to get a license. In 1970, Congress amended the law, extending it to other animals and to "exhibitors." The motivation was to regulate zoos, circuses, dealers, and so forth. But the law was drafted broadly enough that someone was later able to take the position (apparently with a straight face) that it applies to a magician and his rabbit. The "contingency plan" rule was proposed in 2006, in response to reports that many animals were abandoned after Hurricane Katrina. The final rule took effect earlier this year. Again, a perfectly good motive, which has somehow ended up as a reason to hassle a magician with one rabbit. if a "traveling entity," carry a copy of the plan at all times. "I'll take a piece of paper and put down, 'Note: Take rabbit with you when you leave," the Post quoted another magician as saying. "That's my plan." Personally, I would add "if there is a blackout, fire, or natural disaster," just to ensure compliance, but it seems fundamentally sound to me. The plan being drafted for Marty by Kim Morgan, a specialist in such things (disaster plans, not magicians or rabbits), might be just a little exaggerated in order to make a point (it's 28 pages long), but far be it from me to complain about that. The Post has a great, highlighted version of the draft plan here. A reader has asked whether this comes too late to make it into my book of odd laws, and the answer is no, but this might involve an issue of interpretation, not the law itself. On the other hand, the rule is pretty damn broad. The definition of "animal" includes "any warm-blooded animal" used not only for research but also for "exhibition purposes, or as a pet." Note that they don't care about your reptiles or birds, or rats or mice bred for research, or horses not used for research, or "farm animals" used for food. So, as Hahne noted, he could kill the rabbit right in front of the inspector as long as he then ate it, but he can't pull it out of a hat without a license. "Exhibitor" means "any person … exhibiting any animals [that] were purchased in commerce … to the public for compensation…." (This will get you out of creating a written plan for your pet, at least.) It includes not only circuses but also any "animal act," which in turn includes not only a performance by trained animals but any time an animal is "part of a show, performance or exhibition." It excludes, for some reason, retail pet stores, as well as county fairs and other exhibitions "intended to advance agricultural arts and sciences…." What I'm doing here, obviously, is looking for a way to exclude magicians, and I'm not seeing one. And I think that means this thing does go in the book. According to the Post, after its story ran, the USDA announced that it would review the way the rule applies to small operations such as, presumably, magicians with one rabbit. Whether that review will be complete by July 29, the date that plans currently must be complete, remains to be seen. I hope the museum doesn't have to come up with a disaster plan, because "take 100 cats with you when you leave" is easier said than done.